Far West Athletic Trainers' Association (FWATA) Annual Meeting & Clinical Symposium is organized by Far West Athletic Trainers' Association (FWATA) and will be held from Apr 25 - 28, 2019 at Town and Country Resort and Convention Center, San Diego, California, United States of America. This CME Conference has been approved for a maximum of 18 CEUs (12 Category A CEUs and 6 EBP CEUs). Additional Details will be posted as soon as they are available. 4th Annual SKIN: Practical Dermatology for the Generalist is organized by Mayo Clinic and will be held from Apr 25 - 27, 2019 at Embassy Suites by Hilton Chicago Downtown Magnificent Mile, Chicago, Illinois, United States of America. 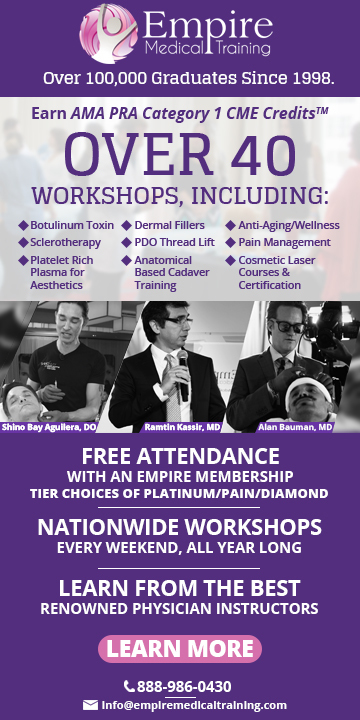 The target audience for this medical event is non-dermatologists and primary care providers, including general practitioners, internists, physicians, residents, physician assistants, nurse practitioners, APRNs and registered nurses. This CME Conference has been approved for a maximum of 15.50 AMA PRA Category 1 Credits. Course Description: SKIN: Practical Dermatology for the Generalist is the 4th Mayo Clinic course taught by expert dermatologists from the three Mayo Clinic national practices in Minnesota, Florida and Arizona with the goal of teaching practical dermatology to the non-dermatologist. The course will consist of interactive lectures covering multiple aspects of dermatology including management of moles, skin infections, cancers, rashes, lumps and bumps, and simple dermatologic procedures. The information presented will be relevant to a broad range of non-dermatologists and primary care providers. It will allow these practitioners to feel comfortable caring for patients with skin conditions. Course Highlights: • 5.50 hours of designated of pharmacology content​​​​ • Clinical to Dermoscopic: Evaluation of Melanocytic Lesions • Clinical to Dermoscopic: Evaluation of Nonmelanocytic Lesions • Getting to Brass Tacks on Nails • What Do You Mean "Dermatitis"? • The Itchy Patient • Acne Tips and Pearls • Fungus Among Us • Rashes You Get on Vacation • Common Rashes in Children​​​​ • Papulosquamous Disorders: When It's Not Dermatitis ​​​​​​• Is This a Drug Rash? • Biopsies and Other Office Procedures Learning Objectives: • Evaluate a variety of skin lesions, differentiating common and benign lesions from those which require more aggressive management. • Recognize the need for appropriate sample technique and the role of pathology in directing management. • Recognize and differentiate common rashes from those which can be life threatening, and determine when referral is indicated. • Recognize and appropriately treat common dermatoses. • Integrate the rationale and use of various topical and systemic therapies including corticosteroids, anti-fungals and antibiotics. • Integrate skin cancer management skills into clinical practice. Pediatric Endocrinology Nursing Society (PENS) 2019 Conference is organized by Pediatric Endocrinology Nursing Society (PENS) and will be held from Apr 25 - 28, 2019 at Hyatt Regency Long Beach, Long Beach, California, United States of America. Target Audience: The conference is designed for nurses and other health care professionals interested in recent developments in the field of pediatric endocrinology nursing, including pediatric diabetes. Accreditation: Total number of contact hours applied for is 25.5 (21 for the regular conference plus 4.5 for the pre-conference workshop) The National Conference provides a forum for educational opportunities as well as a chance to interact with colleagues and experts in the field of pediatric endocrinology. The faculty will present information on a variety of pediatric endocrine disorders, as well as topics of general interest to nurses and other health care professionals. Teaching methods will include lectures, interactive sessions, discussions, workshops and poster sessions. The opportunity to develop and continue relationships with your colleagues through networking is one of the key benefits of attending the PENS National Conference. Networking offers many tangible benefits to conference participants, including, but not limited to, validating your experience in providing nursing care and developing a better understanding of your practice and your role in care delivery by learning from others who are dealing with similar circumstances, solving the same problems and confronting the same issues. Take advantage of this national gathering of pediatric endocrinology nurses to learn more about national issues and trends.​ Program Objectives: • Develop new skills to improve educational and patient outcomes • Provide educational opportunities in pediatric endocrinology for nurses and others with expertise in the area • Promote the pursuit of nursing practice and research through a research presentation and poster session • Provide educational opportunities in the management and treatment of selected endocrine disorders • Provide direction for understanding health care changes. 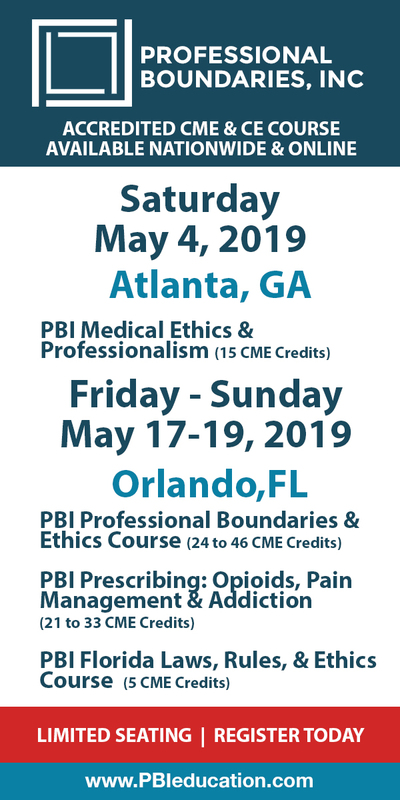 2-Day Certificate Course Heal the Shattered Self: Advanced Evidence-Based Interventions to Effectively Treat Shattered Clients is organized by PESI HealthCare and will be held from Apr 25 - 26, 2019 at Minneapolis Airport Marriott, Bloomington, Minnesota, United States of America. This CME Conference has been approved for a maximum of 12.5 AMA PRA Category 1 Credits™. Course Description: Encountering clients with persistent emotional and behavioral symptoms can leave a therapist overwhelmed and not knowing where to start. Imagine if you could effectively treat these clients in ways that move beyond merely addressing symptoms to healing the shattered self using evidence-based interventions from a wide array of current psychotherapy models. This 2-day certificate course integrates advanced techniques from multiple evidence-based models and supported by the latest research in neuroscience on the default mode network, all in a way that you can integrate into treatment immediately. Techniques for healing the shattered self are often scattered among many treatment models, but they are not coordinated in a comprehensive treatment plan to address the client holistically to build resilience and bolster hope. Join expert Steve Johnson, Ph.D., ScD, for this certificate workshop. His cutting-edge approach will show you how to develop a coordinated, comprehensive treatment plan to treat clients who are experiencing severe and persistent mental, emotional, behavioral, and interpersonal symptoms due to a shattered self. You will learn how to: go beyond symptom reduction to develop a coordinated, comprehensive treatment plan time and coordinate the interventions to maximize healing at multiple levels of the self to build resilience integrates exposure and present-centered techniques that will ensure excellent outcomes of each are obtained but without the high dropout rate of exposure therapies help clients with a shattered self grieve the loss of self to create a new, more resilient self that reconnects with others, life, and the world in satisfying ways Objectives: • Implement simple but powerful evidence-based interventions from numerous current psychotherapies to heal a client’s shattered self. • Employ a technique to help clients employ the imagination to act “as if” one had developed the ideal self. • Utilize a very simple visual technique to help clients evaluate behaviors in a role rather than evaluate the self. • Understand which interventions to use for which diagnoses for better client outcomes. • Formulate how to chain interventions for stronger positive client outcomes. • Identify the multiple ways to use imagination, story, and metaphor in therapy. • Coordinate cognitive, emotive, and behavioral techniques to form a comprehensive treatment plan. • Determine when to use mindfulness and when to use grounding techniques with clients. • Employ techniques to build client resilience in the face of serious persistent symptoms. • Identify resources outside therapy to build multiple safety nets for clients. • Implement a comprehensive plan to heal therapist distress and avoid burnout when treating shattered clients. • Describe a process for clients and therapists to collaborate in forming a wellness plan. • Implement quick, simple techniques to help clients unconditionally accept the self, others life, and the world. • Construct a four-step process to assist clients grieve a shattered self and reconstruct a new, more resilient self. 13th Biosimilars and Follow-on Biologics 2019 Americas is organized by Paradigm Global Events (PGE) and will be held from Apr 25 - 26, 2019 at Washington, Virginia, United States of America. Additional details will be posted as soon as they are available. UCSF Prostate Cancer Imaging with Hands-on Workstations is organized by The University of California, San Francisco (UCSF) Office of Continuing Medical Education and will be held from Apr 25 - 26, 2019 at UCSF Radiology at China Basin, San Francisco, California, United States of America. This CME Conference has been approved for a maximum of 14.5 AMA PRA Category 1 Credits™. Course Description: This course will present the fundamentals and latest developments of prostate cancer imaging and management. The combination of lectures and hands-on workstations offers a unique opportunity for practicing physicians to become proficient in performing a comprehensive imaging evaluation of patients with prostate cancer at all stages. The course will instruct in how to perform, interpret and report a multi-parametric (mpMRI) prostate exam in a time-efficient and accurate manner. The hands-on US-MRI fusion biopsy workshop will demonstrate how this technology is utilized to improve care of patient. MR imaging has long been shown to be a powerful tool for the assessment of prostate cancer, but its use for biopsy guidance has only recently been widely accepted as a way to overcome the inherent limitations of transrectal ultrasound-guided biopsy. Course Objectives: At the completion of this course, the attendee should be able to: • Demonstrate familiarity with the relevant clinical aspects of prostate cancer. • Perform and interpret a multiparametric prostate MRI exam at 1.5 and 3T. • Describe the critical fi ndings and recognize potential pitfalls in interpretation of a multiparametric prostate MRI. • Create a clinically pertinent report of the fi ndings on a multiparametric prostate MRI. • Be familiar with other advanced imaging techniques for prostate cancer. • Process and prepare the MRI data for an US-MRI fusion biopsy. • Perform an US-MRI fusion biopsy. 2019 Annual Congress of Enhanced Recovery and Perioperative Medicine is organized by American Society for Enhanced Recovery (ASER) and will be held from Apr 25 - 27, 2019 at Hyatt Regency Washington on Capitol Hill, Washington, Dist of Col, United States of America. Additional details will be posted as soon as they are available. 48th Annual Postgraduate Course in Surgery is organized by Medical University of South Carolina (MUSC) and will be held from Apr 25 - 27, 2019 at Hyatt place charleston/historic district, Charleston, South Carolina, United States of America. Accreditation : CME Credit The Medical University of South Carolina designates this live activity for a maximum of 16.5 AMA PRA Category I Credit(s)™. Physicians should claim only the credit commensurate with the extent of their participation in the activity. PA Credit AAPA accepts certificates of participation for educational activities certified for AMA PRA Category 1 Credit(s)™ and Prescribed credit from AAFP from organizations accredited by ACCME or a recognized state medical society. The MUSC Office of CME provides certificates to PAs with a statement, approved by AAPA, that PAs may receive a maximum of 16.50 AAPA Category 1 Credits for this conference. Nursing Credit Most states accept CMEs that apply to specific nursing specialties as nursing continuing education. Please check with your respective State Board of Nursing to ascertain the equivalent number of contact hours offered for 16.5 AMA PRA Category 1 Credit(s)™. Course Descritpion : The 48th Annual Postgraduate Course in Surgery is intended to update practicing surgeons on current topics, concepts, issues and problems relative to the broad field of general surgery. Guest faculty and MUSC faculty will conduct this course, which is sponsored by the Department of Surgery, Medical University of South Carolina. Participants will have the opportunity to interact with the course faculty through case presentations, panel discussions and during scheduled breaks. Course Objectives : At the conclusion of this conference you should be better able to: • Formulate treatment and management plans for the broad area of general surgery and in GI, endocrine and breast cancer surgery. • Implement strategies to prevent or minimize complications. Specific learning objectives will be included in the online agenda beginning in February 2019. Additional details will be posted as soon as they are available.